This post was co-authored by Drew Nelson. The CEOs of ten leading oil and gas companies today announced intentions to move toward “near-zero” methane emissions, pledging to set a quantitative reduction target by this time next year. At first blush, it might sound like a modest step – a promise to make a promise. In fact, the CEOs announcement constitutes an important and welcome recognition that oil and gas methane emissions impact the climate, are too high, and must be reduced. The new pledge comes just days after the International Energy Agency previewed its analysis showing that methane is a “critical issue for the long term natural gas outlook” and steep emission reductions are possible with today’s technology, and enormously cost effective. The 10 companies, which together are responsible for 20 percent of global production, joined forces three years ago to form the Oil and Gas Climate Initiative. Last year, they invested $1 billion to accelerate commercial deployment of low carbon energy technologies. The new pledge is the next important step on the road to decarbonizing their operations, with methane playing a central role. Industry progress on methane has steadily accelerated over the past two years. Just last month, the CEO of XTO Energy, the shale gas subsidiary of ExxonMobil, announced a set of commitments to continuously reduce methane emissions from its U.S. production and midstream operations. Shell and Statoil are also piloting continuous methane monitoring solutions at well sites in Alberta and Texas. The near-zero aspiration is warranted. Methane emissions from human activities drive about 25% of the warming our planet experiences today, with the global oil and gas industry a major pollution source. Aggressive action to reduce methane is not a substitute for reducing carbon dioxide emissions, but it is a necessary complement to those efforts that the oil and gas industry must be challenged to make. Scope – To meet its full potential for impact, the scope of the commitment must match the size of the challenge. That means next year’s commitment should accelerate methane action in: (1) both oil and gas operations; and (2) joint ventures and other production collaborations with non-OGCI members that are core to the business model of multi-nationals. Somewhere between 40 and 50% of methane from the combined sector comes from oil production; leaving out these emissions means ignoring half the problem. 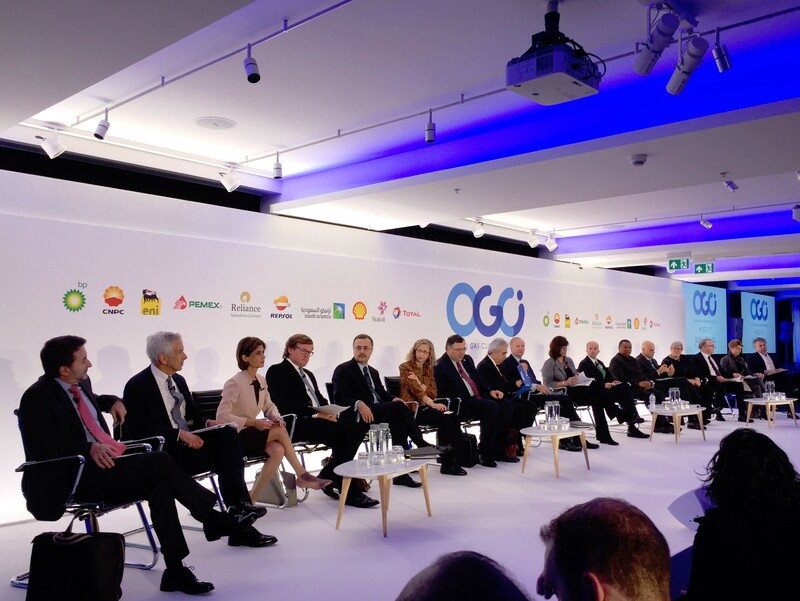 Moreover, OGCI members can leverage their considerable influence and access – if not outright control – to drive enhanced methane management through the vast network of development projects pursued in tandem with other operators. Ambition – IEA found about 75% emission reductions are achievable using existing technology, setting a mark that industry leaders can embrace. Per IEA, achieving a 75% reduction from current emission levels would have the same near-term climate benefit as closing all the coal fired power plants in China. That’s one of the cheapest, most impactful ways that exists today to reduce GHG emissions.OGCI’s ambition must match the scale of the opportunity. For precedent, look no further than OGCI member Eni, which recently set a goal to cut upstream fugitive emissions from its oil and gas facilities by 80 percent worldwide. Early Progress – Tangible examples of early progress toward the target are essential. We will look for concrete short and medium term commitments that build momentum and inspire confidence that technologies and practices are being deployed to achieve quantifiable reductions on the pathway to “near zero.” Short term markers may include actions like setting zero emission design standards for new facilities; swapping out old, high-emitting equipment for more modern technology; and instituting regular leak detection and repair programs. Innovation – A long list of innovators are ready and willing to help industry tackle the methane challenge with new tech, but they can’t make a dent without stronger industry demand. Through its investment fund and global reach, OGCI can catalyze the development of new, even more cost-effective approaches to reduce methane and commercially scale those innovations. Projects like the Stanford/EDF Mobile Monitoring Challenge, MONITOR, and independent trials by individual operators are surfacing better, faster, cheaper mobile solutions to detection and quantification. Further, OGCI can use its market influence to drive up deployment of these solutions, while driving costs down. Capital invested in technologies, combined with a partnership approach with technologists, is vital to take methane innovation to the next level. Transparency – The credibility of the OGCI efforts will depend on regular and robust reporting that provides a window into OGCI member companies’ actions, progress, and results. For example, the frequency, scope, and methodology for leak detection and repair, and what insights these efforts yield into root causes of emissions can help move us toward prevention. Transparency will benefit OGCI in other ways – for example, helping the global technology community know where the methane mitigation market is going. OCGI still has a lot of work to do to deliver on the expectations they’ve created. But we know it’s possible to achieve dramatic methane emission reductions quickly and cost-effectively. Investors, advocates, and others will be pushing hard to keep the wheels of progress turning. This entry was posted in Climate, Methane, Natural Gas and tagged global methane. Bookmark the permalink. Both comments and trackbacks are currently closed. 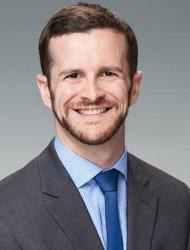 Ben Ratner manages corporate engagement initiatives to minimize methane emissions from the oil and natural gas industry. His focus is developing innovative collaborations across diverse stakeholder groups to build the leadership, technology and information necessary to reduce emissions aggressively and cost effectively.